Previous New Amazon Echo Plus & Echo Dot 2nd Generation ( Indian Variant ) Unboxing & Hands On!! 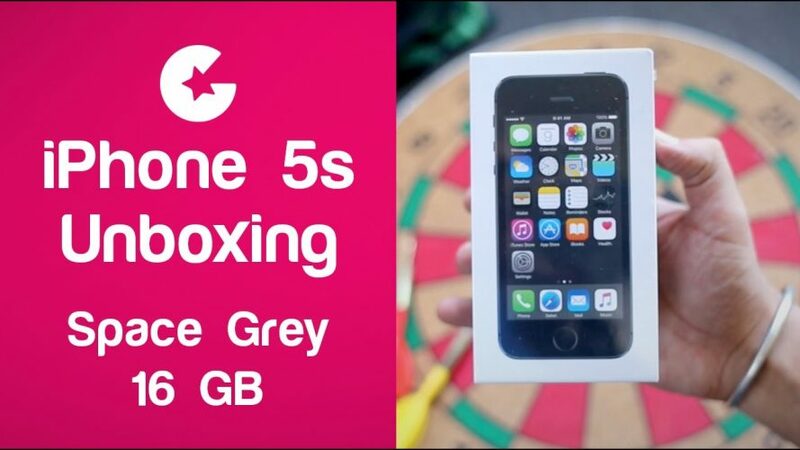 This is a quick unboxing of iPhone 5s 16GB Space Grey variant. Apple iPhone 5s smartphone was launched in September 2013. The phone comes with a 4.00-inch touchscreen display. Apple iPhone 5s price in India starts from Rs. 15000. The Apple iPhone 5s is powered by 1.3 GHz dual-core Apple A7 (64-bit ARMv8) processor and it comes with 1GB of RAM. The iphone 5s packs 16GB of internal storage cannot be expanded. As far as the cameras are concerned, the Apple iPhone 5s has a 8-megapixel primary camera on the rear and a 1.2-megapixel front shooter for selfies. If you like this iPhone 5s Unboxing video Please Like, Share and Subscribe! Stay tuned guys for more News, Reviews and Unboxing videos. If you have any questions or queries drop them in comments section below.